Maus & Son, Inc. is located in the heart of the historic village of Moodus, Connecticut. 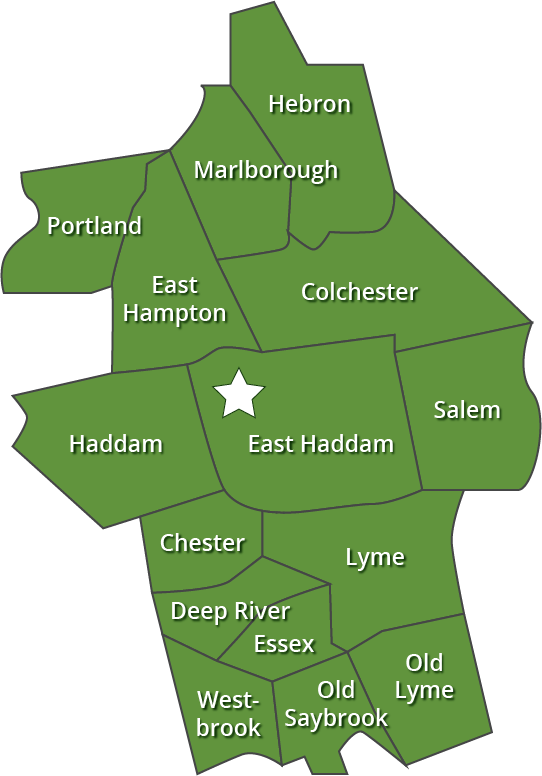 Our service area spans towns along the Connecticut River­­­­­­­­­­­­ in Middlesex and New London counties. With over 90 years of expert heating and plumbing services behind our name, see why your friends and neighbors call Maus and Son for all their home energy and water needs. Contact us today. Don’t see your town on this list but live in the area? Give us a call, or fill out our contact form to see if we can help!